Vauxhall is well recognised for its ability to produce a car to suit almost anyone's practical driving needs. When it comes to getting tyres changed, ATS Euromaster has sets to suit your Vauxhall model at competitive prices. 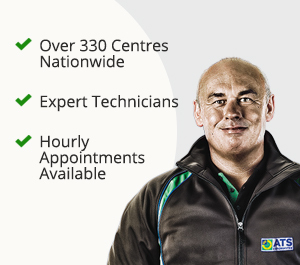 You can book in at one of our 330 centres nationwide or you can have our mobile fitting service come to you, if you prefer. 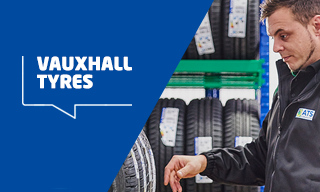 There are a number of excellent tyre brands that Vauxhall has worked with to find tyre compounds and patterns that will deliver maximum performance. The Astra has been an excellent example of a small family car since 1979 and has been one of Britain's most popular new cars to buy for many years. Its design has always been pleasing, even following its facelift. The Astra is great to get around the city but can also handle long motorway journeys. Continental Eco Contact 3 tyres. However, other tyres for Astra that suit the model well include the Goodyear Efficient Grip, Michelin E3A, Pirelli P7. Although it has now been replaced by the Insignia, the Vectra remains a highly popular family car and its last version is still very prevalent on the roads. It saw three different generations, covered two decades and was known to be an excellent company car for its ability to cruise the motorways with ease. Michelin Pilot Super Sport, Avon ZV5, Michelin Pilot Primacy and Goodyear Excellence. For those with a big family, who want a multi-purpose vehicle with lots of space then the Zafira is always the best choice. It was launched in 1999 and has seen three generations come to the road so far. The Zafira is fitted with ContiPremiumContact tyres from new. Although there are a number of other Vauxhall Zafira tyres that can deliver high performance, including the Michelin Energy Saver, Goodyear Excellence, Dunlop SP Sport Fast Response and Dunlop Sport BluResponse.